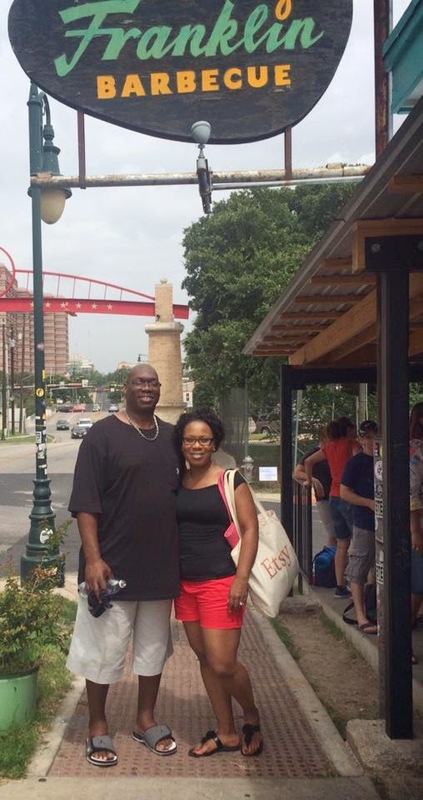 our first time at Franklin's BarBQ was simply amazing. 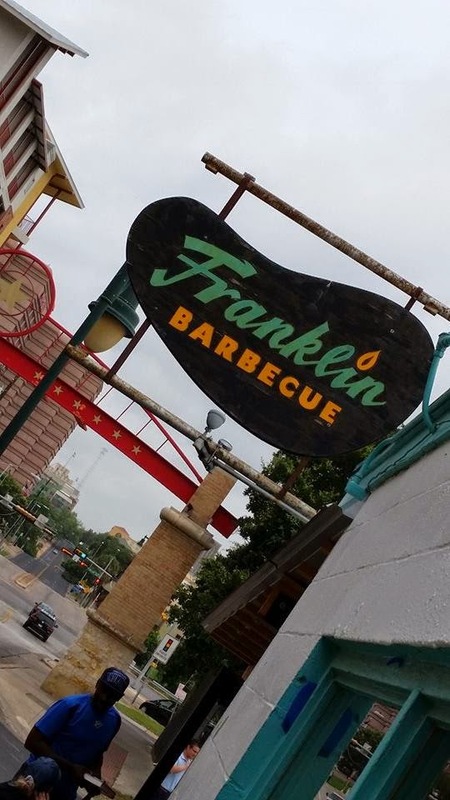 yes, franklin's as seen on the travel channel, in texas monthly, you know the place that has a line around the corner and NO ONE can skip the line - not even celebrities, but the other day president obama did skip the line…read about that here! First time ever, anyone was allowed to skip the line. I'm excited the president was just as excited to visit just as much as we were. 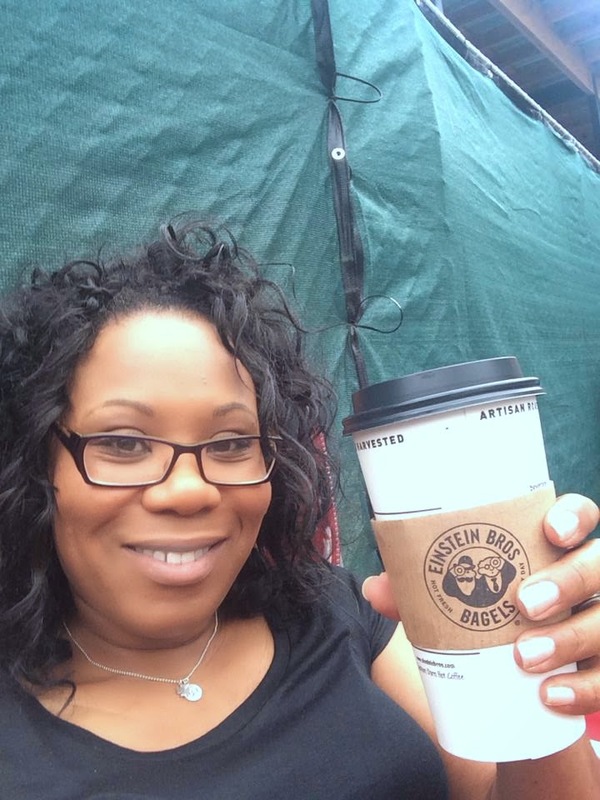 we get dressed and I ask my hubby to stop at einstein's bagels for breakfast…we make a quick stop and we arrive to Franklin's. we get there about 7:30AM and there were already 50 people ahead of us…we pull out our lawn chairs, get out our breakfast and phones and sit. we had friends that show up, and then more (most of our friends were a little late and the people behind us didn't like it when we asked if they could get in line with us…but they let them…yikes!) 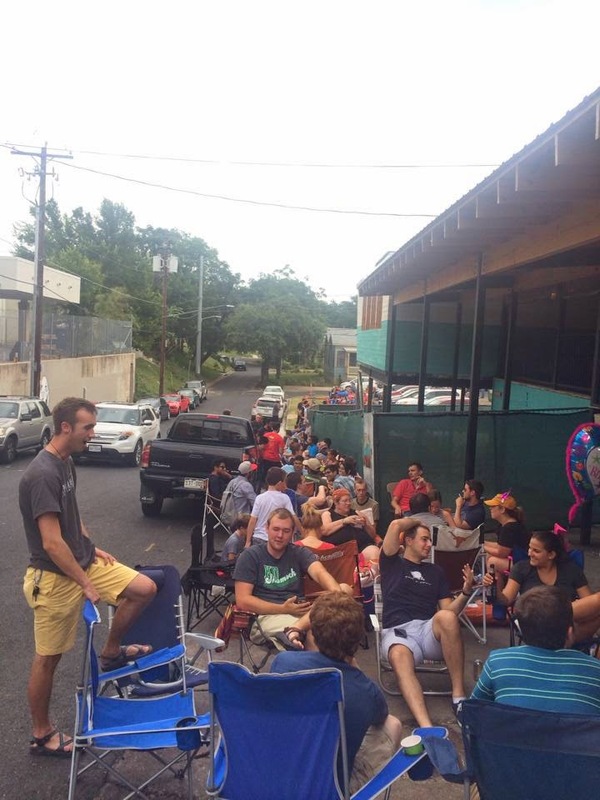 we told our friends, next time, they would need to arrive on TIME…no more saving spots in line. here is the line, it's growing! we are right on the other side of the black truck. the staff at franklin's comes out to find out about how much BBQ we plan to order and she also tells us although they open at 11:00, our wait would be another hour and a half after the doors open. they let us use the bathroom inside the restaurant and they come and out and sell beer, soda and bottled water while we waited…pretty cool, but we brought our own cooler. we finally make it to the door - and then inside…wow! it was pretty small. in the end…we stood in line for about 4.5 hours for our anniversary lunch…AND WAS THE BBQ WORTH THE WAIT? We had a great time! Here is a picture of our friends.